Job interview is really stressful. Especially if you have to speak not your native language. An English lesson on how to be survive a job interview and prepare yourself for many problems. Speaking- and reading-oriented exercises. Three exercises testing the structure there is/there are. True/False exercise, Answering questions on the basis of the picture and completing the drawing so that it would reflect the sentece beneath it. 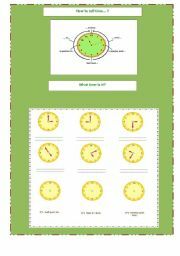 This is a worksheet for young learners. First, children are to look at the picture and answer questions, then, decide if the sentences are true or fals and finally, children are to cicrle the best description of the picture from the choices provided. Reported speech announce, ask, wonder, suggest, tell, threaten, accuse, demand, refuse, advise etc. 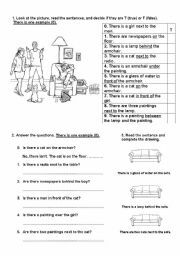 Two exercises for advanced students checking the reported speech comprehension. Answer key included. Reading exercise + grammar exercises. SPEAKING: planes and flying. 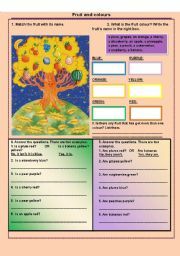 For intermediate students, adults, group discussion, one-to-one questions and imaginative game! 2. 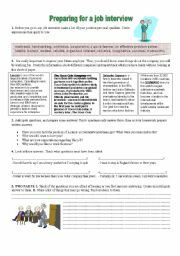 SCHOOL CHEATING worksheet for speaking on cultural differences + TEACHER�S NOTES - extended! Two long exercises that favour speaking and reading, description of how to conduct exercises in a form of a lesson plan. 3 PAGES! 1. 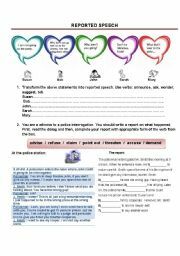 Different Law - worksheet for speaking on cultural differences + LESSON PLAN - extended! three exercises that favour speaking + reading and writing task, description of how to conduct them in a form of a lesson plan. 2 pages! 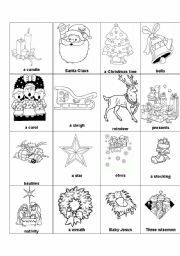 Useful and beautiful Christmas flashcards. 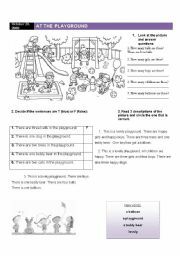 Four exercises on fruit and colours, including two grammar exercises testing the structure "it is/isn�t" "they are/aren�t". New expressions presented on the initial picture and an exercise in which children are to look at the clocks and tell the time and also draw the hands.